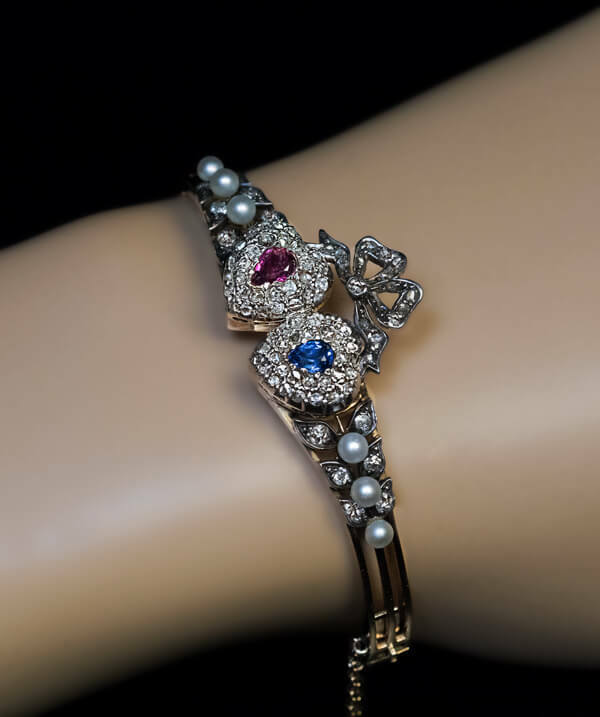 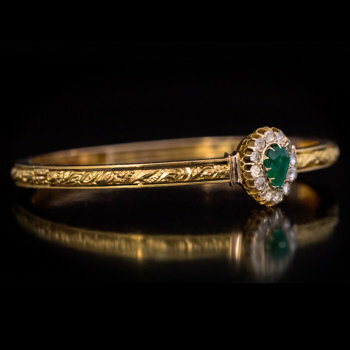 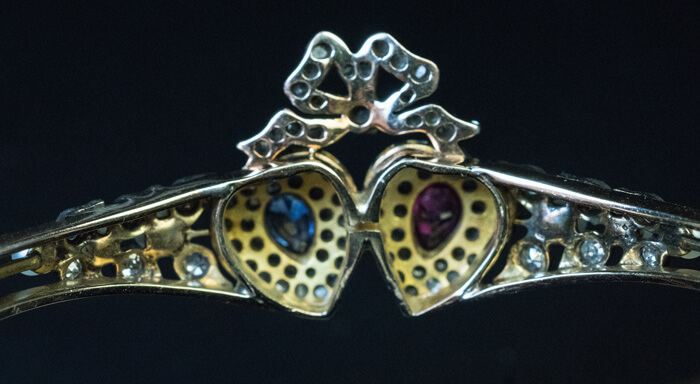 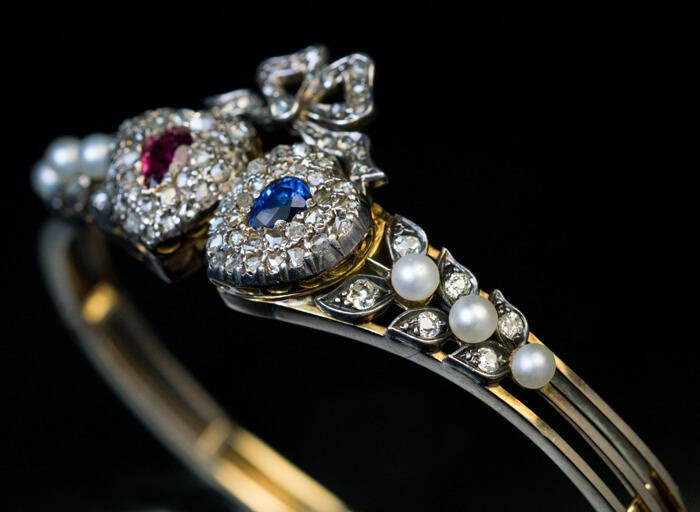 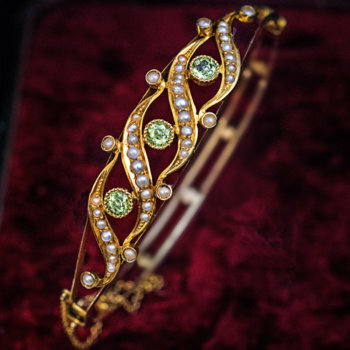 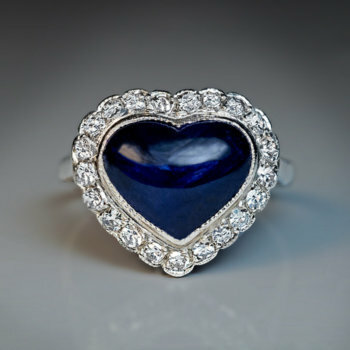 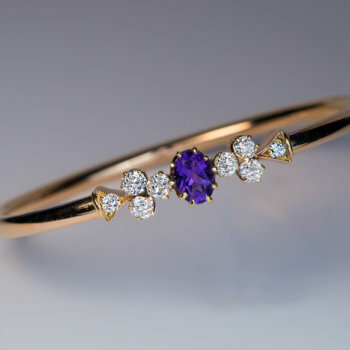 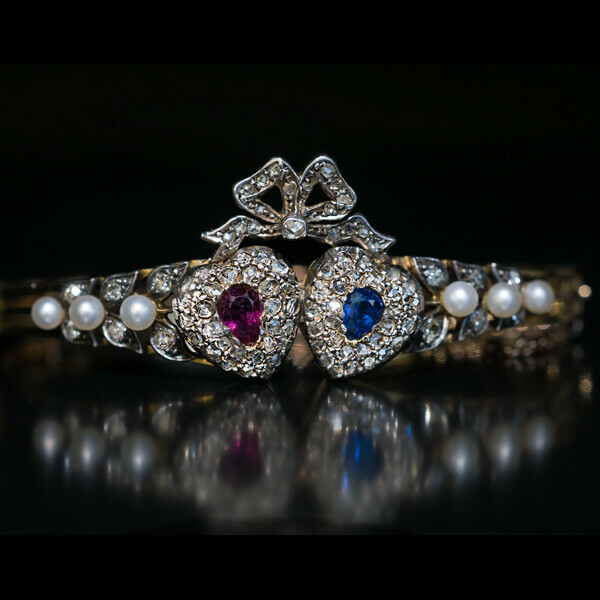 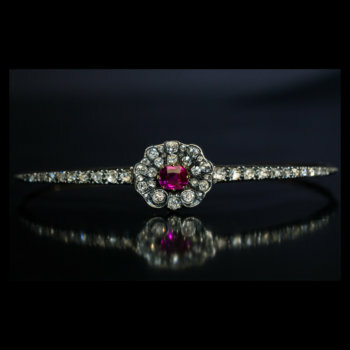 An antique 14K gold bangle bracelet is centered with two silver hearts set with a pear shape ruby and a blue sapphire (approximately 0.30 ct and 0.35 ct) surrounded by rose cut diamonds. 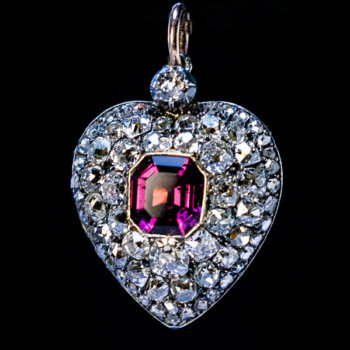 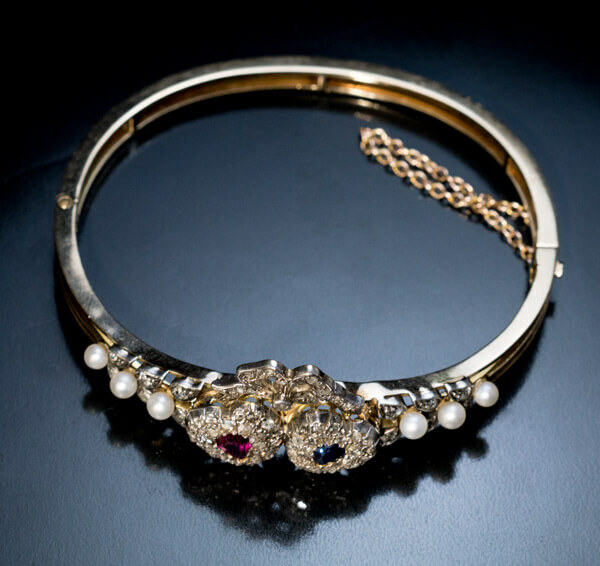 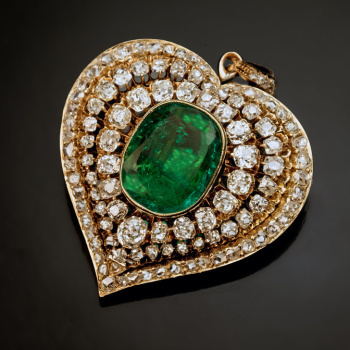 The hearts are surmounted by a diamonds bow and flanked by silver leaves embellished with pearls and old mine cut diamonds. 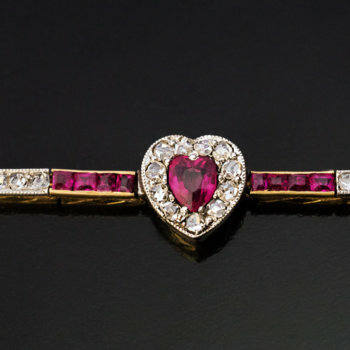 Estimated total diamond weight 0.80 ct.